The Hack City event showcased the coding talents of over a hundred participants including City computer science students. 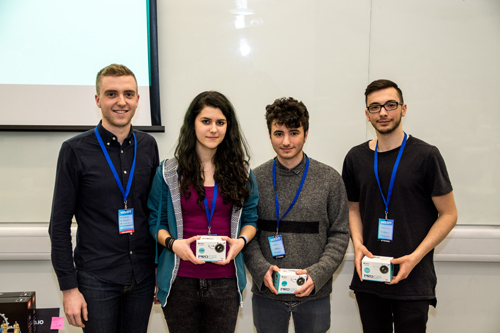 The City Tech Society, winners of the Student Union’s Best New Society Award, successfully organised and hosted the Hack City hackathon on March 25th and 26th 2017. City Tech Society is a student run community with a focus on engineering and entrepreneurship.The Society runs hackathons, student-led technical workshops and hosts speakers from the technology industry. They also run a Slack community of over 100 students, where everyone is updated on all things tech. Overall winning teams of Hack City were First Prize winners iTheremin (who won an Amazon Echo Dot and a Gold Medal each); Second Prize winners weCycle (Silver Medal); and Third Prize winners qrev.tech (Bronze Medal). 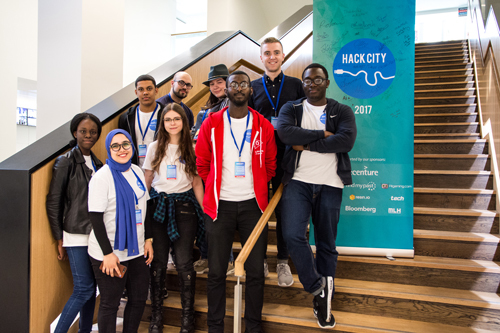 Hack City was sponsored by City’s Department of Computer Science, Accenture, Resin.io, Bloomberg, Starling Bank, Resin.io, GitHub, findmypast, AIgaming, .tech and MLH. 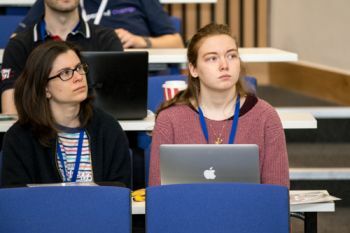 "We've really enjoyed working with students at Hack City. Everyone hacking was a very curious, fast learner, and it was a pleasure to figure out new technology with them. Whether or not they've finished a whole project, there were a lot of very creative ideas going around. The whole event was a lot more smooth sailing than most hackathons have been, even though it wasn't any less intense. Cheers to the organizers!" For more information on City Tech Society, please visit this page.